One, it dawned on me how somehow I'd started to take for granted how much I enjoy creating, re-writing, and experimenting with healthy recipes. I love it. I'm passionate about it, even. Sometimes we allow thin, protective veils prevent us from wholeheartedly embracing and announcing our passions; because, someone is always more talented, more passionate, more successful; or because acknowledging them make the fear of, let alone actually, losing them more painful. Even when it comes to simple pleasures, like finding out what happens when replacing sugar with orange juice. 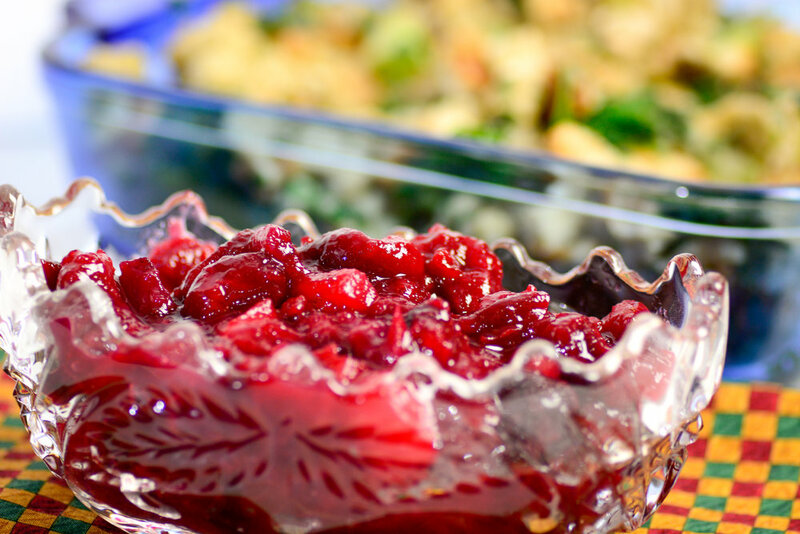 Another thing, I may be deceiving myself a little here, but I realized that I have a lot to say about cranberry sauce, and it's not all embarrassingly dull. Just as I love learning about others' food journeys and creations, there are people who enjoy sharing in mine, and I'm so grateful I can't even explain it. You have no idea how much I like you just because you asked me my opinion on baking healthy cookies. I hope that doesn't come across as freaky. ;) And finally, it hit me I was hungry. For cranberry relish. Thanksgiving is coming, and I've had hazy beginnings of sentimental messages to post in mind. But we're all in busy-mode, aren't we? And sometimes nothing suits happy industry so well as something delightfully, deliciously utilitarian. Since we've gone meatless, Thanksgiving sides and accompaniments have developed and evolved to become the main show, and this relish is a star. It's as harmonious and yummy alongside squash, roasted vegetables, and stuffing as bird. It's beautifully balanced in sweet and tangy notes, textured and full of singing flavors not masked with granulated sugar. Walnuts add a pleasant little bit of chew, too. Best of all, it's so easy to adapt to taste I'd almost say it's fail-safe. Swap in pecans for walnuts or coconut sugar for honey. Reduce amounts to taste. Add in different fruits, or dried fruits. Try with barely any sweetener at all--it's still scrumptious, a little something to snack on as well as accompaniment. Combine all ingredients in a medium saucepan. Bring to a boil; reduce heat, and simmer until thick (about 15 minutes), stirring occasionally. Cool completely.